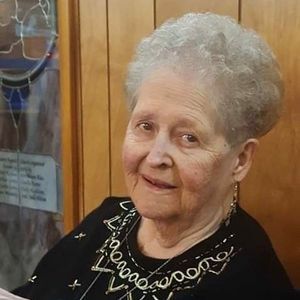 GREENVILLE - Mrs. Helen Marie Porter Bumgardner, 81, of Greenville Kentucky, passed away March 19, 2019, at 3:11PM at Owensboro Regional Hospital, with her family by her side. Mrs. Helen was born to the late Ira and Virginia Porter on September 24, 1937, in Nashville, Tennessee. She was married to the late Airy Webb Bumgardner, Sr. from 1961 until 1983 before his sudden death. Mrs. Helen is survived and loved by seven of her eight children: Airneida Bumgardner of Tucson, Arizona; Laura Decker, of Byron, Georgia; Airy Bumgardner, Jr. (Barbara) of Madisonville Kentucky; Suzanne Stewart, of Greenville, Kentucky; Michael Bumgardner (Carolyn), of Russellville, Kentucky; Mark Bumgardner, of Graham Kentucky; and Matthew Bumgardner, of Greenville Kentucky. She is also survived by sisters Patricia Carol Miller and Jeanette Klugh, 22 grandchildren, 27 great grandchildren, and many, many nieces and nephews. Her predeceased daughter, Paula Bumgardner Shrode, passed away in 2009. She was also preceded in death by twins sister Irene and brother Ira. Following the death of Mr. Bumgardner in 1983, Mrs. Helen worked many trades to provide for her children before she became employed in the fabric department at Wal-mat for many years. Mrs. Helen was a naturally talented seamstress. She could sew/create anything she set her mind to - even without a pattern to guide her. She loved gardening, watching tv and cooking, but most of all watching the Kentucky Wildcats play basketball. Thank you all for sharing in her farewell ceremony. She will be greatly missed and always loved by so many. Funeral services will be Friday, March 22, 2019, at 1:00PM at Tucker Funeral Home in Central City, with Bro. Keith Howard officiating. Burial in Graham Hill Cemetery. Visitation will be Friday after 11:00AM at the funeral home. Online condolences may be made at www.tuckerfuneralhomes.com. I just learned about the passing of your mother. She was one of the sweetest people that I ever met. I am so sorry for your lost but please be in peace that mother is in a better place with God. Mark if you get this message, please call me at 202-213-4151. I'm so sorry to here of Helens passing. She was such a sweet woman. I'll never forget here. So sorry for the loss of your dear mother. Ms. Helen was a sweet, sweet, lady. I remember you all from when we lived in Hammond together. My hope is for God to bless and comfort you all during this sad time.